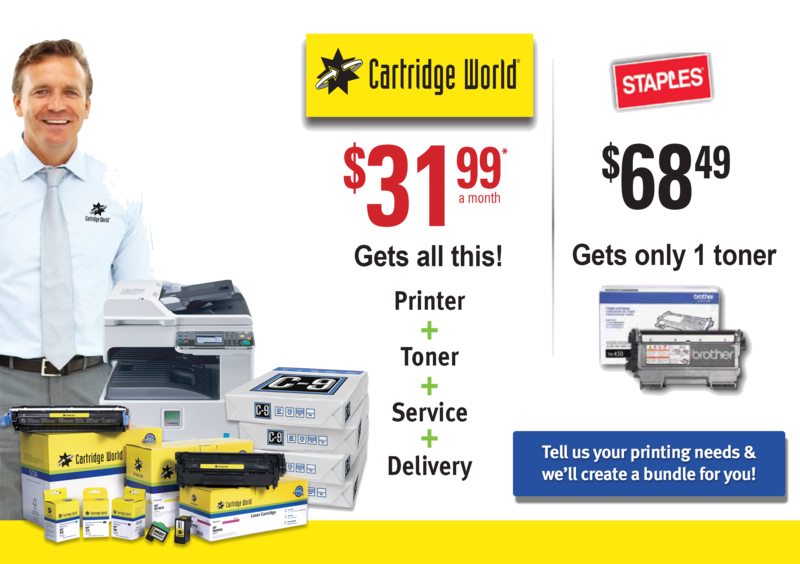 FREE ink cartridge or $10 off toner for NEW BUSINESS clients! See store for details. Call (813) 288-8(INK). Please like us on Facebook to receive a regular weekly deal. We’ll help you save time, save money, and print great. Guaranteed. In addition to our everyday savings ─ up to 30% off superstore prices ─ click here for monthly specials and promotions. Plus, sign up for our free special offer emails.